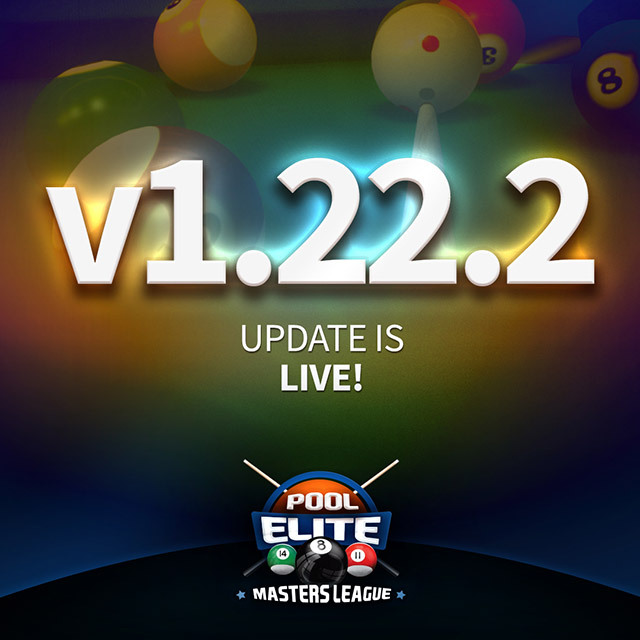 What’s new with v1.22.2 Update? *Stats information of cue sticks will be shown on 3D view screen. *The information of expired items will be shown after launching the game. *Daily Objectives will reset at 00:00 every day. *Turn time is increased in game. *Play Again button is added at the end of challenge games. *Visual improvements were made for better user experience. *Some translation errors were fixed.Concede button in Snooker game mode will ask for confirmation before ending the game. *Tutorial for new players is improved. *There will be only 1 reconnect chance instead of 3. *Many visual and technical bugs were fixed. *Improvements for logging from another device feature were made.